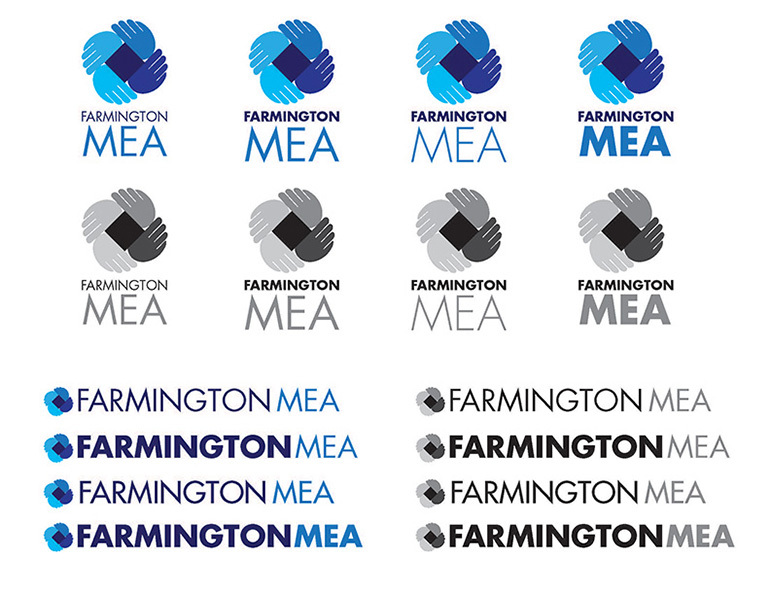 The Farmington MEA wanted to create a logo that represented the four different groups the organization represents. They chose the logo with the four hands because it spoke to the idea of the four separate groups working together. I created two versions of the logo to allow for usage in variety of situations. 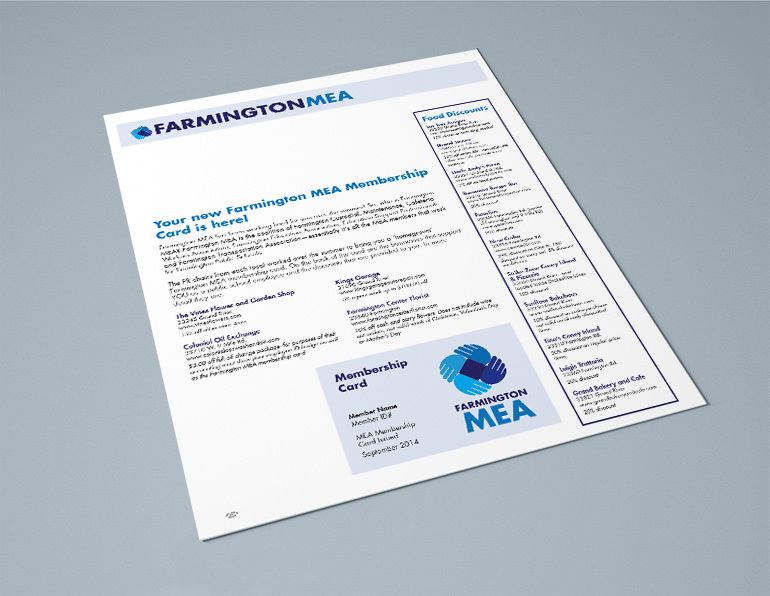 The logo was then used to create a membership card to promote the benefits of membership in the local association. It highlighted the benefits available locally to members.